MORE THAN 200 cervical smear results should have resulted in earlier intervention, the HSE has said. Since 2008 1,482 cases of cervical cancer have been notified to the CervicalCheck, Ireland’s national cervical screening programme. In the majority of these cases there has been no requirement for further review. However, a review was warranted in 442 cases. Of these, 206 reviews suggested a different result that would have “recommended an investigation to occur at an earlier stage”, the HSE said. Some 173 cytology reviews suggested that a referral for a colposcopy might have been recommended earlier, and for 33 cases a repeat smear might have been recommended to occur earlier. The HSE said the relevant clinicians were “informed of the review findings and requested to communicate directly with their patients as they considered clinically appropriate”. “These communications, which related to events to prior to the diagnosis, had no impact on the care management and treatment of the women after they were diagnosed,” the organisation added. Health Minister Simon Harris and Tony O’Brien, Director General of the HSE, met yesterday and agreed that an international peer review of the CervicalCheck programme would be undertaken “in order to ensure ongoing confidence in the programme”. It is to be established as a “matter of urgency”. Harris yesterday said that CervicalCheck would write to doctors of women who may have received incorrect results from their cervical smear test to ensure they have told their patients of their result. 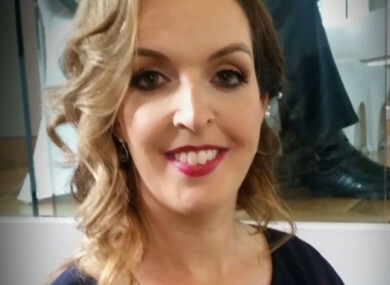 The fallout of the case of Vicky Phelan – a Limerick mother-of-two who had a smear test in 2011 where abnormalities were missed, and who wasn’t informed until last year despite the information coming to light following a 2014 audit – has thrown the spotlight on the issue. On Wednesday, 43-year-old Phelan settled a damages claim with the HSE for €2.5 million. Her cancer is now terminal. In January of this year, she was given between six and 12 months to live. Email “More than 200 cervical smear results should have had earlier intervention ”. Feedback on “More than 200 cervical smear results should have had earlier intervention ”.